If your database is in a paid plan (i.e. 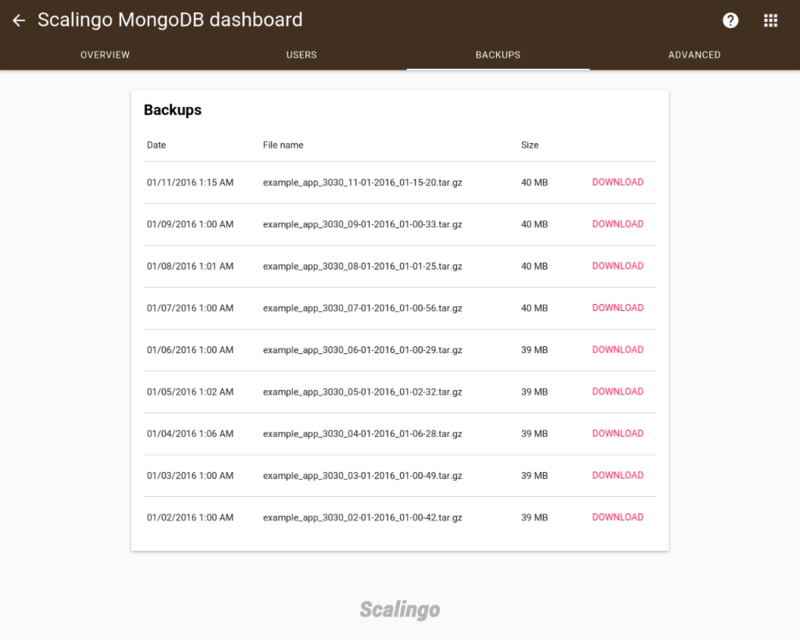 it’s not “free plan”), Scalingo makes automated backups of your database on a daily basis. During your application lifetime, you might feel the need to restore your database at a previous state. We will guide you through the different steps to download a specific backups and restore the database with its content. As an example we use a MongoDB database but these instructions do not differ a lot for different databases.